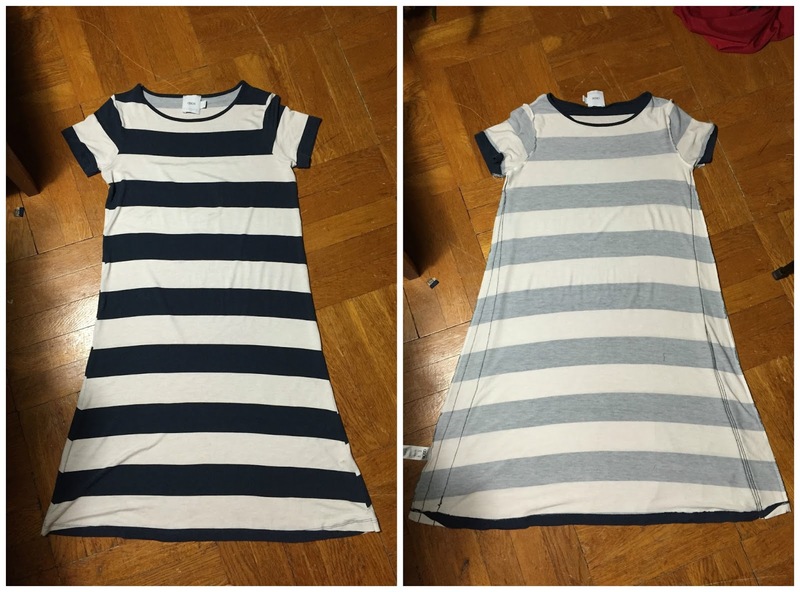 I worked on a couple of pretty quick dress refashions this past week/weekend...striped dresses!!! 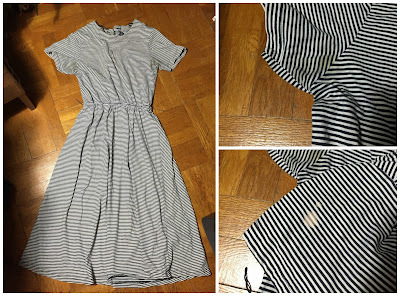 I thrifted both just recently, this first one being a maternity dress. 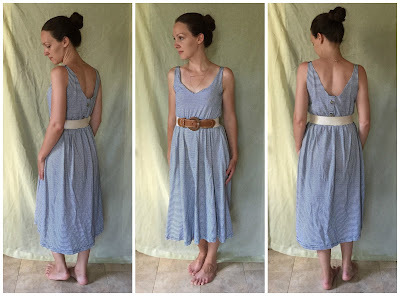 I took in the overall size from armpit to hem, then to give it a bit of definition at the waist, I created a pleated gather at each side...wanna see more details? Head over here. 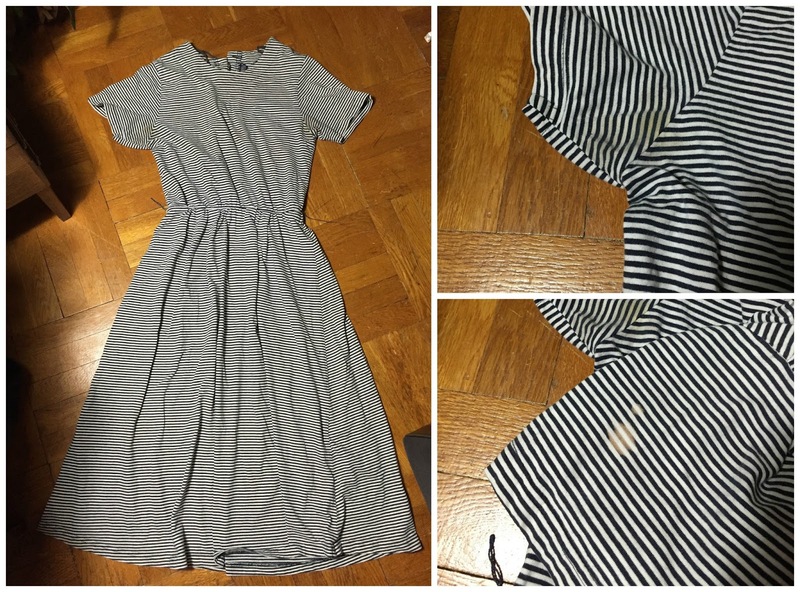 This next dress was bleach-spotted and had funky armpit stains. So sleeveless was a must! 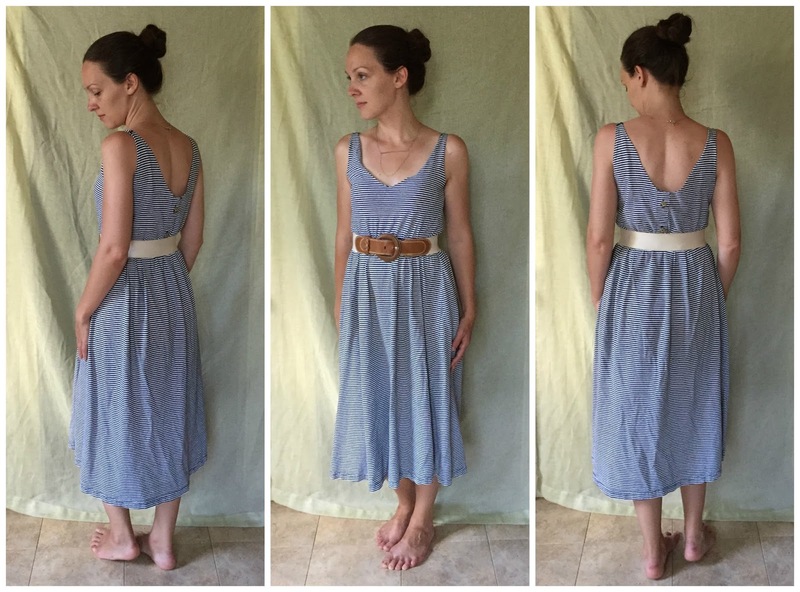 I also reworked the neckline and bodice to create this scooped v that allows me to wear the dress frontwards or backwards! 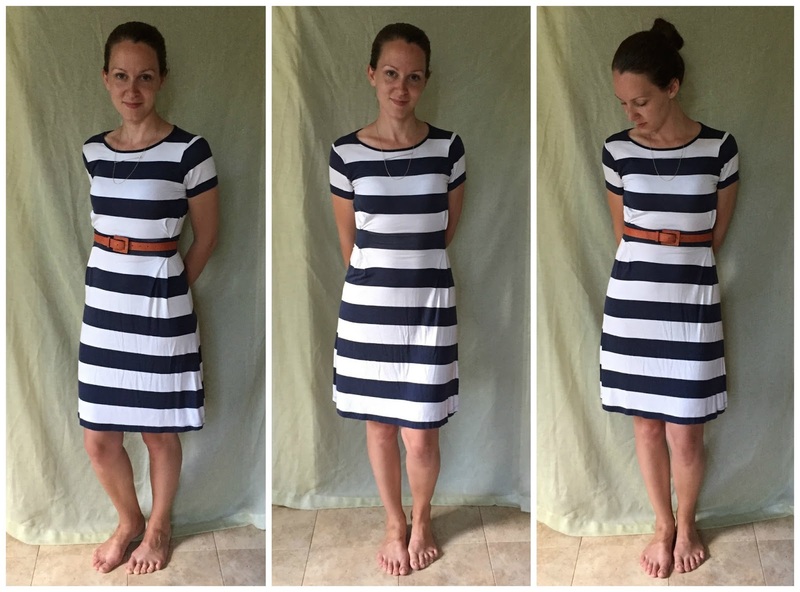 Funky stains gone, easy summer midi is here to stay :) Want to see more of the process? Same link as above! Time to go on a thrifting hiatus and save up some pennies...but I've got an ample stash to shop, so here's to more sewing and less buying! These are both cute as can be for summer. 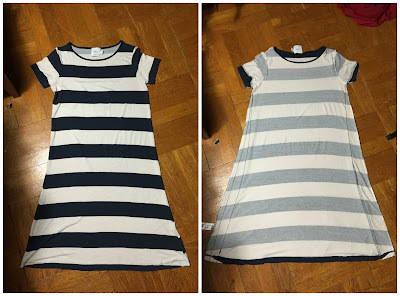 I can see both going into fall with leggings, tights and boots. Thanks for sharing.